In this Karatbars Review, I’m going to share my personal story, give my opinion about Karatbars International and talk about the people I’ve met since I became an affiliate with Karatbars. Do I recommend Karatbars International, an 8-year old company, as a legitimate choice when it comes to work from home opportunities? And as a gold savings program only? This is why I’ve taken the time to write this Karatbars Review. It all started in the summer of 2017 when my friend and business associate, Sherrie Hatch, were working on a side project together. Although for many years we masterminded together from a marketing standpoint, we dreamed of working together if the right situation and right company ever crossed our path. This is when the first seed was planted. On a phone call we discussed companies, their products, pay plans, and their customer support. One of the companies we discussed was Karatbars International. It just made sense to us. At the end of 2017, we both completed most of our prior commitments. Now it was the time to focus on a plan for the upcoming year and the stars were aligned to create a team membership site where we could really give team members all they could ever want to build a successful business. It took a few months to really zero in on what we wanted to give our team and when we were done, we had a team site but but no company officially yet to build it around. Now the fun started. For two weeks we dissected pretty much every company, product and pay plan and with each discovery came more excitement. Karatbars was becoming the clear choice. The more we learned about Karatbars, the more we understood the global potential. The fact that Karatbars has been around since 2011 was huge for us. We strived to find a company that was stable and legitimate. The official decision was made. I called my friend Chuck Dawley, who has invaluable experience in this industry, and he was excited about the discovery. One thing that I learned in my research was that Karatbars is not an MLM (even though we were comparing it with other MLM companies). It’s an e-commerce company offering an affiliate program. Along with that, there are no monthly or yearly requirements. That’s right… after you become an affiliate through purchasing one of the four packages, going forward you choose how much of your hard-earned paper money you want to convert into gold… 1 gram at a time. If you need to read the paragraph above again, go for it – because that’s some really unique and powerful stuff offered by this company. As an affiliate, you get to participate in the dual system pay plan. To explain in simple terms, when you either enroll someone as an affiliate and/or enroll a customer, you earn a certain amount of units and when those units reach a certain amount, you get paid… potentially over and over. So two things are happening: You’re doing a wealth transfer by converting paper money into gold savings and you are earning commissions by participating as an affiliate. Another discovery is that as you build your business, Karatbars rewards you with free gold. Not only are you making commissions by sharing with others, you start building your gold savings at lightning speed. And how does Karatbars pay commissions? Through an an International Pre-Paid Mastercard that can be used globally and you get paid weekly. Very convenient…especially for those wanting to make money online from home. Can Someone Just Save Gold And Not Do The Biz? I get this question a lot and the answer is yes. My business network features a lot of marketers who are very happy with their current business. When I tell them about Karatbars I exclusively discuss building a gold savings through wealth transfer and not so much the affiliate side. To me, Karatbars is the perfect complement to any business you have already. If you are successful in one business, wouldn’t you be saving money anyway for a rainy day? Why not convert that paper money savings into gold, right? It just makes sense and that’s why I’ve built a team of both affiliates who are looking for a stable business opportunity and customers who want to save gold only. I chose to do both. I’ve been in this industry since 2012 and I’ve been around the block quite a few times. I believe I’ve seen the good, bad and the ugly. I’ve been very fortunate that the last few years has been really successful for me and the teams I’ve built. Going forward, building my other business (marketing system and tools to help other marketers) and converting that financial success into gold and into more success through Karatbars is a fantastic combination. So what did you think? Would you like to personally connect with me and get more questions answered or even find out about the bonuses my team offers at no-cost? 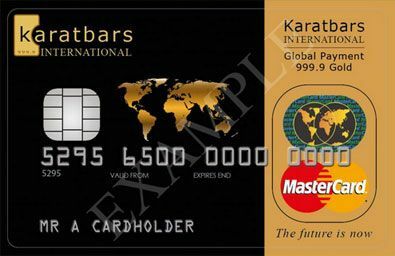 Take action now and click the button below to begin your Karatbars International journey with me as your sponsor then please contact me immediately so I can show you the next steps. You’ll see an option to become Affiliate or Customer. Choose what’s best for you! Was this Karatbars Review helpful? Share your thoughts below in the comment section. Chris, what a great review. You told it exactly how it is. Totally unique. Save gold and earn showing people how to save gold too. I love how this company has been around for 8 years too. You also might want to make an edit above and add the fact that customer service is the best of any company around. Great review! Chris. This sounds like a great business! Call me ASAP, I’m extremely interested in acquiring gold in small, usable, denominations. Thank you for your honest review. There are so many options out there to earn or multiply our money. But whether or not they are legit or have a good solid product is the question. This is pretty solid and universal for all over the world and pretty easy. Gold has been around for a long time and will be around for an even longer time. Thanks for your information. This is in an amazing company. Chris… love this!! Amazing review and gold rocks… I just love those 1 gram cards!!! Ahhhh so this is what you been doing, hahaha!! So secretive. It’s great though. Love being on your team, boss, LOL!!! – Shannon … PA- Congrats on the new little one. He’s so adorable!! Dude Chris, how do you write so well? lol, you are awesome man!! As always great work. Karatbars I heard about, but I didn’t know if it requires a system to do. Great job dude. I love the background! Nice explanation. Found you on a search for AIOP and came across this. I’m liking what I see (so far). I will contact you this week. Chris, good job, you are the best! I like it and it’s a good chance to work with such a great sponsor as you! I want to get more information. Aloha Chris! You have added prestige to this already awesome program with your very impressive and prominent review! Will you be considering a Karatbars Webinar to bring out the simplicity of this incredible savings system? I know you’ll would be ” A Hit” if you hosted one! You bring the best out of everything, even me! Did I ever tell you, “You’re An AWESOME Friend and Sponsor?! So When Is The Karatbars Webinar Scheduled?!? Another great piece of work from you. I love how you lay out the choices of the business, saving as a customer or both. Having a solid investment for the future is important during these crazy economic times. Deanna, thanks for checking out the review. I loved our phone chat today. Yes, this is win/win here. Like I’ve said before. The stability of Karatbars is definitely a highlight! Any space for another comment, Chris ? If so, my take is based on 30 yrs in and around the network business. The relationship marketing world keeps getting bigger & better thanks to technology – but I like what makes KBI different from most of the other offers online. One- time enrollment qualifies us for life – no future required gold acquisition to maintain your spot in the business. Gold does not require much in the way of explanation, other than purity…KBI is 999.9. GOLD does not have an expiration or sell-by date – the value of your inventory (savings) has increased more than 6000 % since 1932. There’s more to know, but this works for now. Thanks for your invitation to take a look, Chris…glad I did. Hi, Chris, this review of yours has to be the work of a gifted author because of its articulate delivery-leaving the reader with an anxious desire to participate in this business venture ASAP. So happy you have offered this opportunity to us and the world, Thank you. Susan, I’m humbled by your comments. As a former journalist and copy editor, it’s nice to know that I’m not so RUSTY with my writing skills. I’ve enjoyed our talks and hope to connect with you more soon (get that phone fixed, hahaha!). Take care! Chuck, you brought up some great points here. 6000%??? Unbelievable!!! It’s been a pleasure working with you daily in KBI and gold has no expiration date… now that’s some great news for our team! Ali, you got it! Call me this week. I wanted to show you the latest bonuses with my software! Fantastic review Chris. Gold will always have value so I’m glad you shared Karatbars with me. I think one of the best advantages of Karatbars is that if the business side doesn’t “take off” for someone then you are not stuck with a cabinet full of super vitamins or fridge full of miracle juice…you will have GOLD! You cannot go wrong with gold, no way possible. Great point David and great closing statement. Gold is easy for everyone to understand. Right, since there is no monthly requirement ever, it takes the pressure off completely on the business side of things. Hard to find that kind of a benefit in a company. Another great piece of content, Chris ! I truely appreciate your servitude and the information you give so freely! Hi Chris a great review. As usual it is straightforward and devoid of fluff and grandstanding. Your honesty and sincerity command attention. Continue to be credible in an industry fraught with deception and false promises. Thank you Waldon. You’ve been a huge supporter of mine for a long time and appreciate you. Look forward to a phone call soon to chat about gold!